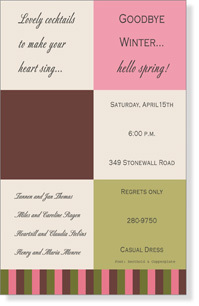 Cool, calm and chocolate...this invitation looks to us like neapolitan chocolates in a box (or maybe we're just hungry!). 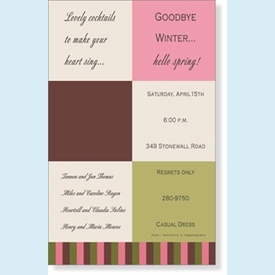 Great for any sort of invitation...text can be compartmentalized into boxes or centered. CLOSEOUT...only 1 set left!